You know what’s the best part about going out with your friends? The hours you spend getting ready together before stepping out! Recently, a friend and I were doing our makeup (and simultaneously dishing out gossip, obviously! ), when I noticed that her base makeup looked practically flawless. When I asked her which foundation she was using, she laughingly pulled out the same CC cream that I use. However, her makeup managed to look a lot smoother and put together than mine! After badgering her for several minutes, she finally revealed that the MVP of her makeup routine was the Smashbox Photo Finish Foundation Primer. Naturally, I rushed out the very next day and picked up a tube for myself. Here is my review. The primer comes in reflective silver, squeezable tube. Previously, the primer came packaged in a transparent tube, but this upgrade makes it look more chic! The attached nozzle is quite slim and dispenses just the right amount of product. Along with the ingredients and directions for use, the packaging also shows a consumer study of how the product performed on 100 different women. This added feature is a great marketing trick and most definitely assured me that I had made the right choice. The real winner though is the formula. Although the consistency is slightly thicker than that of a gel, the product glides on to skin like butter. The clear hue dries down undetectably, thus making it suitable for every skin tone. A little goes a long way with this formula, so I recommend starting with a pea-sized amount and then adding more if necessary. What I love the most about it is how velvety soft it makes my skin feel. When I applied it for the first time, I couldn’t stop stroking my cheeks! The silky feel comes from the presence of silicone. 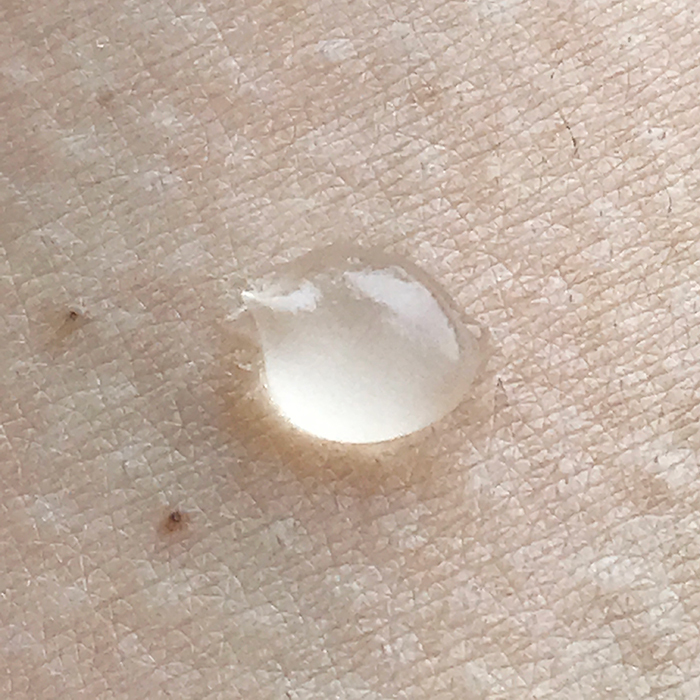 My skin can tolerate silicone-based formulas, but if you are allergic to this ingredient or are prone to clogged pores, definitely patch test this primer before using it all over your face. The formula is also fragrance-free. I’ve been using this primer for nearly 6 months now and can’t sing enough praises about it! Not only does it extend the wear of my base makeup, but also blurs and minimises the appearance of my pores. Another major plus point is how it improves the blending ability of any foundation. I’ve layered it beneath matte, illuminating, sheer and full-coverage foundations and have found that every formula goes on better with this primer. Whilst it isn’t completely mattifying, it does a decent job of nixing shine and delivers a semi-matte finish. Lightweight, invisible and effective, this oil-free primer is everything I dreamed it to be. Now, all I need to do is rummage through my friend’s makeup stash and see what other hidden gems I’ll find in there!